The conductor Suzi Digby is known for a remarkable range of projects, she has created a number of organisations many involved in working with young people including Voices Foundation, Voce, and London Youth Choirs, not to mention her work in California (where she is a visiting professor at the University of Southern California) with the Golden Bridge choir and most recently in the UK, the professional choir ORA with its remarkable programme of commissioning new music. I met up with Suzi to find out more. When we met Suzi had just returned from a meeting with Harmonia Mundi where the release date was confirmed for ORA's next disc, Many are the Wonders (released 23 June 2017). The disc combines music by Thomas Tallis with contemporary reflections on Tallis's music commissioned for the choir (see my review of ORA's recent concert at the Cutty Sark, which included a lot of this music). Whilst enthusiastic about all the music on the disc, Suzi singles out the gospel-style reflection of Tallis's Loquebantur by Ken Burton. She feels that the different sectors of music are becoming increasingly siloed with little interaction between classical music and areas such as gospel, whereas in the 1990s there seemed to be more classical interest in gospel. She is excited that Burton's piece is cross-genre in a considered way. Doing gospel style music with classical singers needs to be carefully managed, and part of Burton's skill is that he understands the Anglican tradition and his new piece is intended to emerge from that tradition. The disc is part of a wider project where Suzi and ORA are commissioning contemporary composers to re-imaging Renaissance music. For this to work Suzi considers that, like Ken Burton, the composers need the make the music their own and cites the example of Alexander L'Estrange whose Show me deare Christ not only re-worked the 'Credo' from Byrd's Mass for four voices but secularised it too. Suzi's enthusiasm for and commitment to this project is palpable, during our conversation she not only talks knowledgeable and enthusiastically, but positively vibrates with energy. But where did the idea of combining contemporary composers with the past come from? In 2007 Suzi was present when she heard Melvyn Tan premiere Variations for Judith, a series of variations on Bach's Bist du bei mir by a selection of contemporary composers including Thea Musgrave, Jonathan Dove and Peter Maxwell Davies. The piece had been commissioned as a goodbye present for Judith Serota, the outgoing executive director of the Spitalfields Festival. Not only did Suzi find it fun to guess who was the composer of each variation, but she found the work riveting. This set the seed, which came to fruition initially in California. For the past seven years Suzi has been visiting professor at the University of Southern California. There, with her professional consort the Golden Bridge, she has been trying to bridge between the music and culture of California and the UK. There is also a big Anglican community in Los Angeles and they wanted her to work on English Renaissance music. 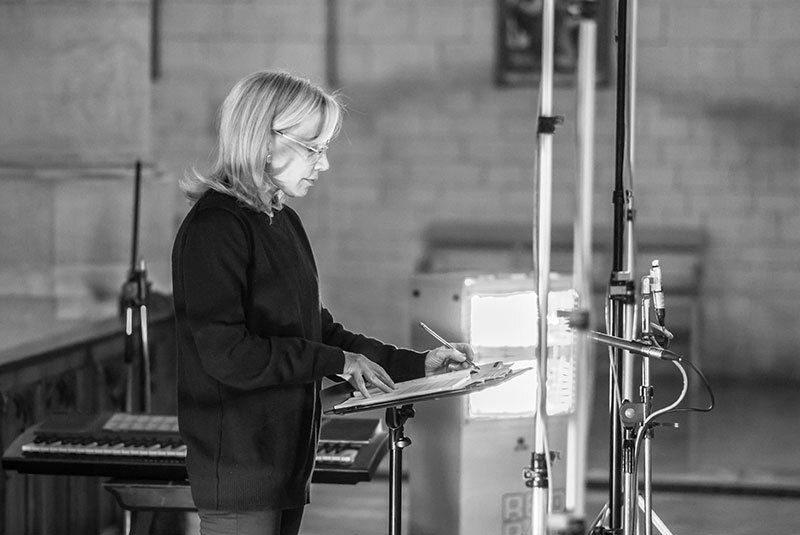 To create a bridge, Suzi asked local composers to write pieces based on the English Renaissance piece, and these local composers came from an exciting music scene which included film music, jazz, electronics and more. The results were vastly appreciative and she describes the audiences as 'hungry for real high quality music'. Suzi's Golden Bridge Festival, which developed out of this, has really taken off. With her choir ORA in the UK, this has developed into a project to commission 100 new pieces, from 100 composers, each piece a reflection of a piece of Renaissance music. Suzi comments that most choral singers find nothing more perfect to sing than Renaissance music; it appears so perfect and has such a universal appear. But she finds that you need to programme it creatively in order to give the music a life beyond just the nerds. And coupled with the fact that she feels we are currently in a golden age when it comes to contemporary composers, this presented the perfect project; commissioning 100 new pieces from 100 composers, each piece a reflection on a piece of Renaissance music. Suzi felt herself well placed to commence commissioning on such a large scale, partly because she has done so much commissioning already during hear career. Some of this this has come about by circumstantial necessity. When working with children's choirs she wanted to give them the experience of music making at the highest level, and she often needed composers to provide the right sort of music. Whilst Suzi was on a Winston Churchill Fellowship, in 1990, looking at repertoire for children's choirs all over the work, she realised that the repertoire in the UK had been somewhat compromised. The presence of high quality choir schools over the last 500 years had eclipsed the development of secular repertoire for children. For instance, in Finland the Tapiola Children's Choir performed at an artistically complete level, giving performances which could be appreciated at a high level, and Rautavaara wrote music for them. Whereas in the UK there was little major secular children's repertoire, with Britten and Richard Rodney Bennett being the exceptions. So during the 1990s Suzi was commissioning a lot, bringing children's choirs out of church and combining them with mixed voice adult choirs. She asked composers to write artistically viable pieces for children's choir and adult choir, written so that the children were not just an added effect. For one project she combined an SATB adult choir, a gospel choir and a children's choir. Her intention was to provide for the children an experience akin to that of children in choir stalls of major colleges and cathedrals. 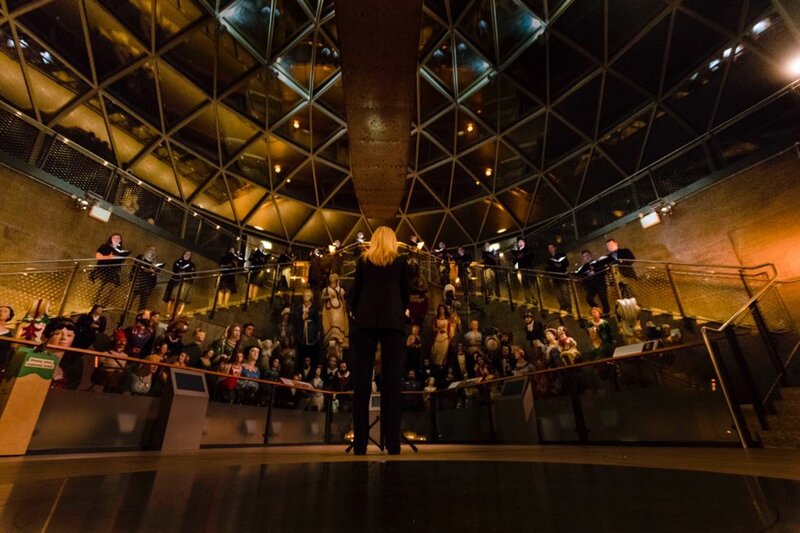 It was the idea of continuing this commissioning by creating 100 new pieces by contemporary composers that gave rise to Suzi founding ORA her London-based professional ensemble. ORA is just the latest in a series of ensembles and organisations which Suzi has founded, including Voices Foundation, Voce, London Youth Choirs, the Golden Bridge, and ORA. I suggest that she seems to be a serial founder of things (and it has to be said that her groups have all established themselves and developed their own lives), Suzi laughs and says that someone once suggested that she take a choral contraceptive. And indeed, when we talk about the future she is full of vibrant plans and ideas. She attributes the urge to create to the entrepreneurial drive which she inherited from her family and its background in Asia. Her forbears fled Russia in 1917 and ended up in China, and her family has been in the Far East ever since. Indeed Suzi's children were born in the East. Founding ensembles and organisations has happened because she feels 'something needs to be done'. She has 'light-bulb moments' and she admits she dreads them. She reckons that she creates a new project per decade, this is the time it takes to ensure the project is established and will 'change the world'. For Suzi the key is to institutionalise something so that it has a life beyond her involvement. She tries not to cling on, but to bring on the next generation and pass ownership to them. So the London Youth Choirs is now completely autonomous but she admits regarding the group like a parent, rushing in when there are problems. 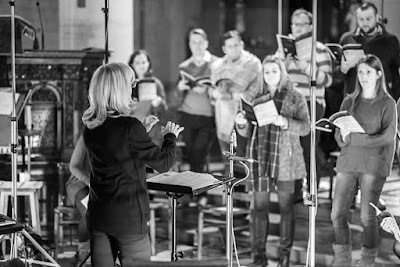 ORA and its ambitious programme of commissioning arose because of Suzi's passionate commitment that now is the time to be creating new choral music because of the fine array of composing talent. She felt well placed to get such a project off the ground, not just because of her existing commissioning record, but because of her track record getting funding - something she describes as not pleasant, but which is an occupational hazard which has to be done. With ORA she aims to put the best professional singers in London together with the best composers, and was lucky that Harmonia Mundi gave them a record deal (the latest disc is the third of a planned 10). She comments that everything seemed to come together in the project and it gained momentum rapidly. 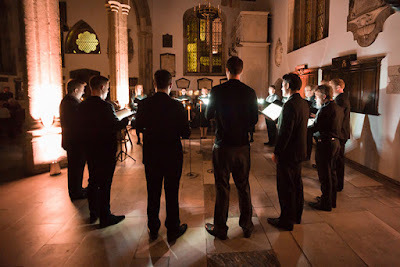 The choir launched in February 2016, is just releasing its third album and has two more recorded. Of the planned 100 new works, the choir has recorded 32 alongside the Renaissance music which inspired it. Suzi intends this collection of new music to be a defining one, and wants to ensure that none of the new pieces are 'duds'. She comments that too often collections of new music containing pieces which she would mark merely at B minus. All new initiatives tend to be viewed with a certain amount of criticism, and in London at the zenith of choral activity Suzi regards this as inevitable. But she is heartened by the critical support which the group has received. 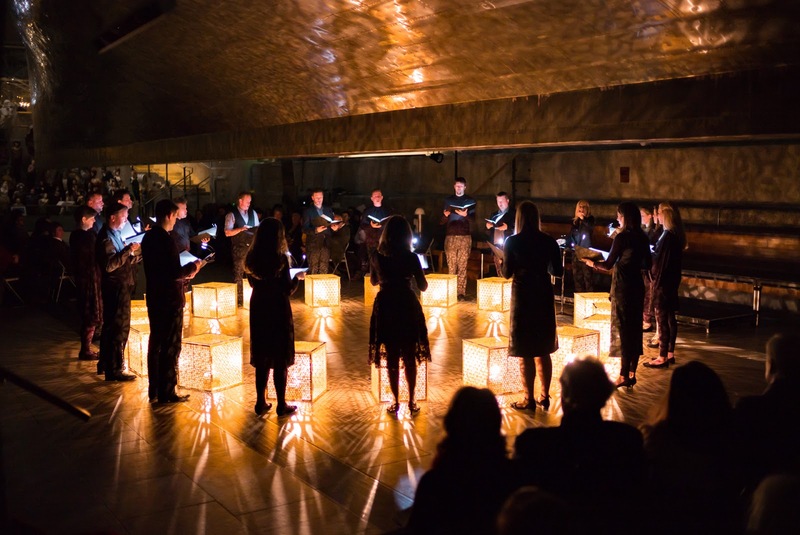 Many professional choral groups start up but they are expensive and difficult to maintain, and Suzi feels every new group needs a specific USP, a vision to differentiate itself from others. It has taken time for Suzi and the group to find its specific sound, but one recent reviewer commented that you would not mistake ORA's sound for that of any other group. Suzi like a very bass rich sound, and feels this defines ORA's sound which is full bodied throughout the spectrum. She does not have a forensic obsession with tuning, and takes a slightly more relaxed attitude than groups where the sound quality cannot be allowed to compromise tuning. But given ORA's combination of Renaissance and modern repertoire, this means she needs singers who can do both clarity and whatever is required in the contemporary pieces. Suzi wants colour and texture in the sound, and she trust the singers as musicians - 'they can self moderate and sing in tune'. The balance of singers chosen is an important one in such an ensemble. Of the 18 singers, eight will probably be from that group of highly in-demand singers who pop up in almost all of London's high-level professional ensembles. It is how you select the other ten which is important. Suzi sees there being a complex dynamic between the singers chosen, the repertoire and the conductor. The person fixing the singers also plays a key role, and of course you may not be lucky enough to get the singers you want for a particular project. Suzi points out that in a bass section of four singers, one particular bass might be crucial as an anchor to the sound of the whole choir, and if he is unavailable the sound of the choir is compromised. This dynamic (conductor, singers, repertoire) is more complex than it seems and no one area is more important than the others. Also each singer is important as an individual, bringing something to the dynamic. When things come together, you can create more than the sum of the parts, electricity happens and creates something extraordinary. Suzi feels that tension can be quite a useful thing in the rehearsal room, some singers will know the repertoire better than the conductor and care deeply about how the music is performed. A conductor needs to manage all these tensions and factors, and it takes courage. You have to get buy-in from the singers, you cannot impose. And the singers have to want to sing for you. So there has to be leadership and trust, and sometime the process succeeds and sometimes not so well. Suzi avers that there is no place for the conductor's ego in this process, bullying is not her style and she feels it does not get the same results. She quotes Sir Colin Davis who once said that his career had been one sequence of humiliations! She takes it as a compliment that one singer said to her that she has the least ego of any conductor the singer had worked with. During 2017, Suzi and ORA plan to capitalise on the launch of their album this month, and a major project n December will build towards the release of their next album in the New Year, and there will also be a tour to the USA in 2018. They will be recording a further album in August 2017 - the singers are booked, it is fully funded (a process Suzi describes as scary) and the composers' new works submitted. There are also exciting plans in process for 2018. Suzi Digby and ORA's latest disc Many are the Wonders is available now, with music by Thomas Tallis, Steven Stucky, Frank Ferko, Richard Allain, Ken Burton, Harry Escott, Alex Roth, Kerry Andrew, and Robert Chilcott.